If you wish to purchase a greenhouse or accessory from Gothic Arch Greenhouses, please print out this order form and fax (251-432-2655) or mail it to our sales office. You may also place an order by telephone 1-800-531-GROW Find greenhouses for sale from Gothic Arch greenhouses !! All prices are subject to change without notice. All orders will be invoiced at the price prevailing at time merchandise is shipped. Please feel free to confirm prices at any time. Personal Checks are accepted, however, no product will ship until after verification of the check clearing Gothic Arch Greenhouses business checking account. On items shipped UPS, charges are to be included with purchase price (e.g. Material cost + UPS Charges = Purchase Price --- you will be contacted with shipping charges if they are not already included). Unless other arrangements are made, larger items will be shipped by Common Carrier on a 'Freight Prepaid' basis from the originating shipping point with charges added to order. Our responsibility ceases when merchandise is accepted by the carrier. We will provide the name and contact information of the Common Carrier and Tracking number of the shipment to the customer,. The Customer in turn is responsible for tracking the shipment, contacting and making delivery arrangements with the Carrier, the unloading and inspection of materials. In the event of lost or damaged merchandise, customer should file claim with the carrier immediately. We are not responsible for delayed delivery due to conditions beyond our control. We will make every effort to ship your order in the fastest possible manner, and by the mode of transportation that you specify; however, in the event of no specific instructions, we will use our judgment and ship the best, fastest and most economical way. Free Shipping Specials only apply within the Contiguous USA. Freight is not added on all Shopping Cart Orders. Numerous items have 'Please Call For Rate', we will contact you, or you contact us for shipping/freight rates. On Shopping Cart receipts, where shipping rates are not reflected, the stated 'Grand Total' is actually your 'Sub-Total'. Subsequently, your material 'Sub-Total' plus the freight rate will then be your 'Grand-Total'. INTERNATIONAL ORDERS: Unless other arrangements are made, all international orders must be paid by bank-to-bank 'wire transfer' in advance.... or by irrevocable 'Letter of Credit' drafted with a US recognized bank. The freight must be transported by our freight forwarder on a 'CIF' door to 'Port of Destination' basis....or from factory warehouse door to 'Port of Departure' in the US. The client will be responsible arranging a custom broker and local transportation company to clear customs and deliver goods to final destination. The client can assume responsibility of the shipment at the 'Port of Departure' in the US if they so choose to use their own freight forwarder at that point. An Institutional Purchase order must be an official purchase order from the Purchasing Department. Prior to ordering, please contact our sales office to confirm prices and delivery charges to your area. Sales Tax will apply for all orders originating in the State of Alabama. All returns or cancellations must have the prior approval of our office and must be for justifiable reasons. The credit extended for such approved returns will be based on the invoice value at time of our current pricing. A 15% cancellation fee is applied to orders cancelled within 10 days. A 20% cancellation fee is applied for orders cancelled between 11 to 30 days. A 30% cancellation fee is applied for orders cancelled after 30 days. Return of merchandise not accepted on order older than 45 days. The return freight cost of goods to our warehouse is the sole responsibility of the customer. Note: Custom Size or orders are not returnable, but any defective parts will be replaced. If any item is warranted by the manufacturer, the purchaser shall look solely to the manufacturer for redress of the warranty. GOTHIC ARCH GREENHOUSES, INC. shall not be liable for damages or loss of any kind from use, handling or storage of goods or services rendered. 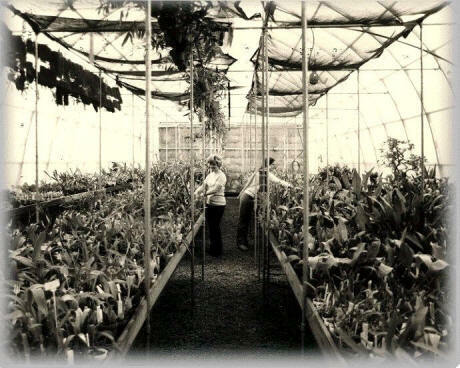 We provide a huge selection of the highest quality and lowest priced commercial greenhouses, hobby greenhouses, school greenhouses, quality Glass Greenhouses Greenhouse equipment and Greenhouse supplies. 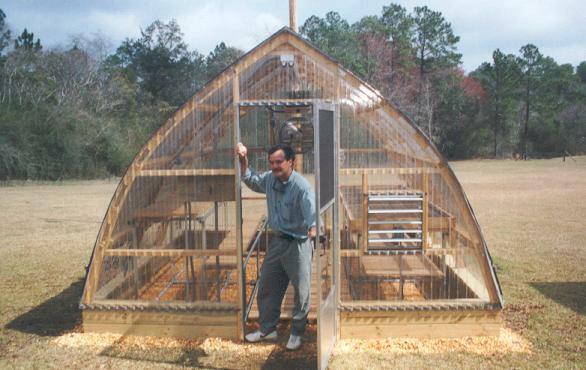 Gothic Arch Greenhouses will design and coordinate building the perfect greenhouses. Our expert greenhouse consultants will help you to choose the finest glass greenhouse and greenhouse supplies for your price range. In addition to our Gothic Arch Greenhouses, we also offer a great selection of other greenhouse structures and greenhouse supplies. Please browse our selection below and let us know if we can be of any assistance! Greenhouses for sale from Gothic Arch Greenhouses !!!! Happy Growing from Gothic Arch Greenhouses ! !